This vegetarian red sauce is made from fresh, fire-roasted tomatoes, cilantro, onions, bell peppers, caramelized onions and spices. One of our milder sauces, this one is perfect for kids. This sauce is best with cheese, beef or chicken. Elvis recommends the “Big As Yo’ Face” Bean & Cheese Burrito. 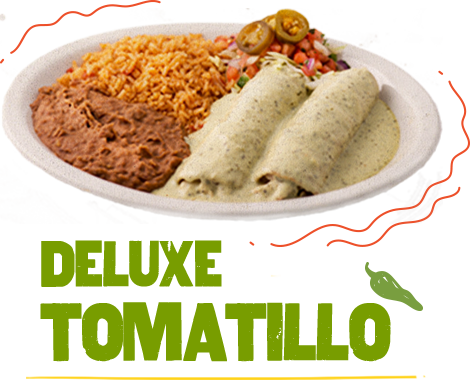 Tomatillo sauce combined with sour cream, fresh herbs, cilantro and spices. This delicate, creamy white sauce is best with cheese or chicken. 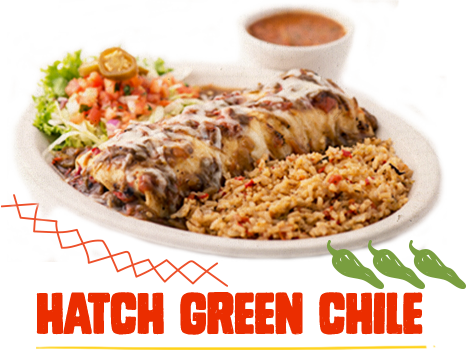 Priscilla recommends the Deluxe Chicken Enchiladas. 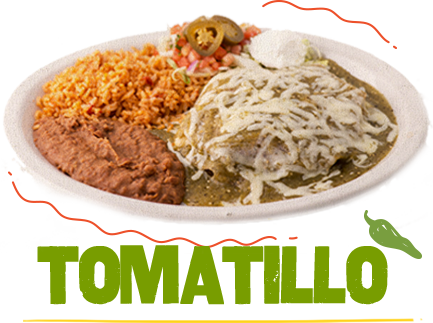 This popular sauce is made with cheese, roasted New Mexican green chiles, tomatillos, green onions, cilantro and lime juice. This spicy sauce is a house favorite. 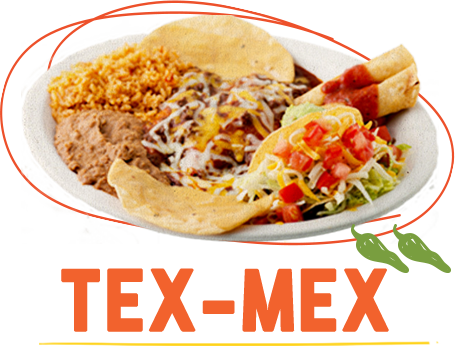 Made with beef stock, fresh, fire-roasted New Mexican green chiles and caramelized onions. This dark green sauce is best with cheese or beef. 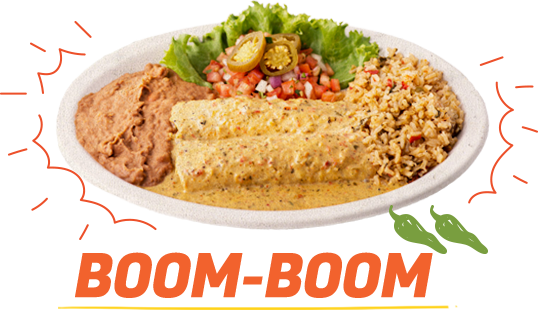 Adds a special “kick” to the Steak Burrito. Fresh green tomatillos blended with green onions, cilantro and garlic. This tangy, mild sauce is best with cheese or chicken. The perfect sauce for the Stacked Enchiladas. 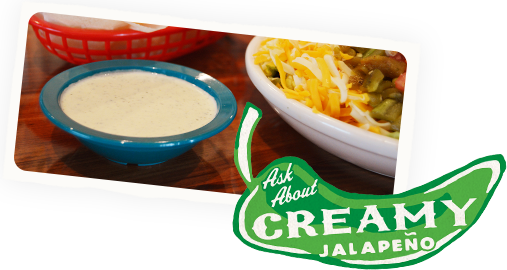 Authentic Chile Con Carne combined with our famous Red Chile Sauce, made daily from fresh red chiles. This sauce is best with cheese or beef. Tastes great on the #1 Comida Deluxe. 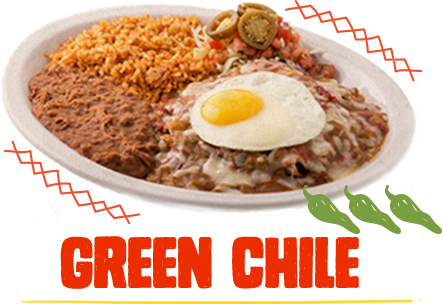 This rich sauce combines chicken stock, New Mexican green chiles, tomatoes, caramelized onions & spices to create a thick and smoky flavor. This sauce is a legendary hangover cure and is best with cheese or chicken. 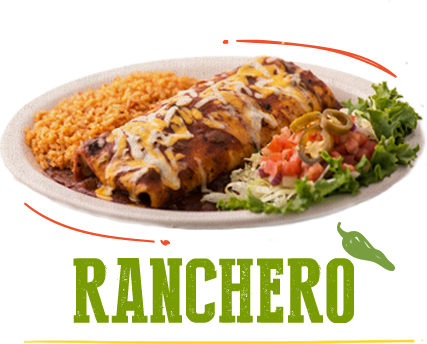 Chuy the Redfish recommends the Southwestern Enchiladas.